Dog meat refers to edible parts and the flesh derived from (predominantly domestic) dogs. Human consumption of dog meat has been recorded in many parts of the world, including ancient China, ancient Mexico, and ancient Rome. According to contemporary reports, dog meat is consumed in a variety of countries such as China, Vietnam, the Philippines, Korea and Africa. In addition, dog meat has also been used as survival food in times of war and/or other hardships. The Donner Party, stranded in the Sierra Nevada Mountains during the height of the Mexican-American War, is a noted example of having eaten a pet dog for survival purposes, though it became more known over the years due to cannibalism. 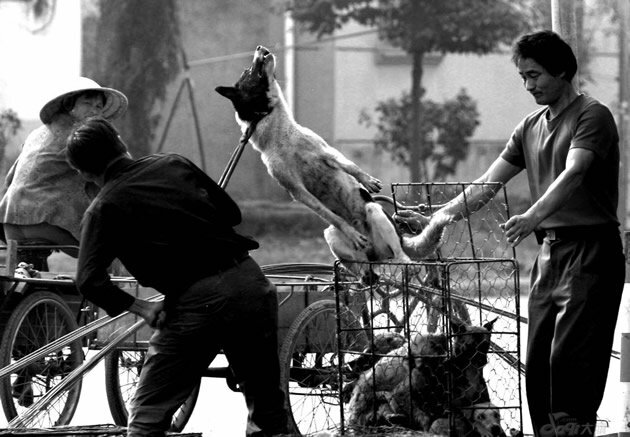 In contemporary times, some cultures view the consumption of dog meat to be a part of their traditional cuisine, while others consider consumption of dog to be inappropriate and offensive. Today, some cultures view the consumption of dog meat to be a part of their cuisine, while others consider consumption of dog to be inappropriate and offensive on both social and religious grounds. 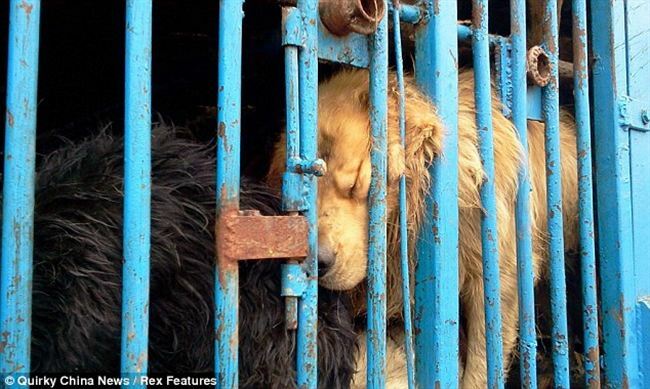 Especially with cultural globalization, greater international criticism (particularly from Western countries, as well as animal welfare organizations) has been increasingly directed against dog meat consumption and the torture of dogs caged and farmed for their meat. In response to criticisms, proponents of dog meat have argued that distinctions between livestock and pets is subjective, and that there is no difference with eating the meat of different animals. Historical cultural records in China have, however, noted how Chinese variations on Buddhism have preached against the consumption of dog meat, which is held to be one of the five 'forbidden meats'. Eating dog is also forbidden under both Jewish and Islamic dietary laws. As a food source dog meat is consumed in some East Asian countries, including Korea, China, and Vietnam, a practice that dates back to antiquity. It is estimated that 13–16 million dogs are killed and consumed in Asia every year. 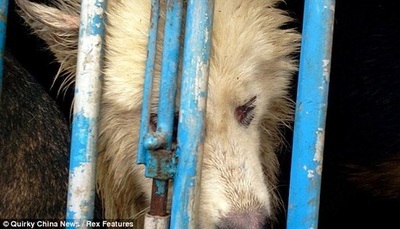 The BBC claims that, in 1999, more than 6,000 restaurants served soups made from dog meat in South Korea. In Korea, the primary dog breed raised for meat, the nureongi (누렁이), differs from those breeds raised for pets that Koreans may keep in their homes. 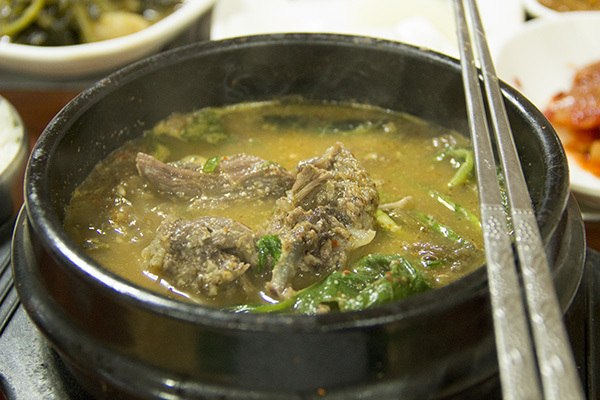 The most popular Korean dog dish is gaejang-guk (also called bosintang), a spicy stew meant to balance the body's heat during the summer; followers of the custom claim this is done to ensure good health by balancing one's gi, or vital energy of the body. A 19th century version of gaejang-guk explains that the dish is prepared by boiling dog meat with scallions and chili powder. Variations of the dish contain chicken and bamboo shoots. While the dishes are still popular in Korea with a segment of the population, dog is not as widely consumed as beef, chicken, and pork. 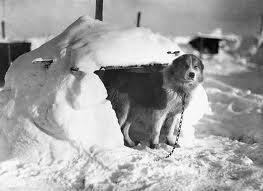 Arctic and Antarctic - Dogs have historically been emergency food sources for various peoples in Siberia, northern Canada, and Greenland. Sled dogs are usually maintained for pulling sleds, but occasionally are eaten when no other food is available. 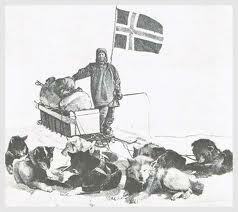 British explorer Ernest Shackleton and his Imperial Trans-Antarctic Expedition became trapped, and ultimately killed their sled dogs for food. "...there is the obvious advantage that dog can be fed on dog. One can reduce one's pack little by little, slaughtering the feebler ones and feeding the chosen with them. In this way they get fresh meat. Our dogs lived on dog's flesh and pemmican the whole way, and this enabled them to do splendid work. And if we ourselves wanted a piece of fresh meat we could cut off a delicate little fillet; it tasted to us as good as the best beef. The dogs do not object at all; as long as they get their share they do not mind what part of their comrade's carcass it comes from. All that was left after one of these canine meals was the teeth of the victim - and if it had been a really hard day, these also disappeared." Douglas Mawson and Xavier Mertz were part of the Far Eastern Party, a three-man sledging team with Lieutenant B. E. S. Ninnis, to survey King George V Land, Antarctica. On 14 December 1912 Ninnis fell through a snow-covered crevasse along with most of the party's rations, and was never seen again. Mawson and Mertz turned back immediately. They had one and a half weeks' food for themselves and nothing at all for the dogs. 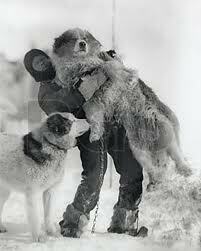 Their meagre provisions forced them to eat their remaining sled dogs on their 315 mile return journey. Their meat was tough, stringy and without a vestige of fat. Each animal yielded very little, and the major part was fed to the surviving dogs, which ate the meat, skin and bones until nothing remained. The men also ate the dog's brains and livers. Unfortunately eating the liver of sled dogs produces the condition hypervitaminosis A because canines have a much higher tolerance for vitamin A than humans do. Mertz suffered a quick deterioration. He developed stomach pains and became incapacitated and incoherent. On 7 January 1913, Mertz died. Mawson continued alone, eventually making it back to camp alive. Although consumption of dog meat is not common in France, and is now considered taboo, dog meat has been consumed in the past. The earliest evidence of dog consumption in France was found at Gaulish archaeological sites, where butchered dog bones were discovered. Similar findings, corresponding to that time or earlier periods, have also been recorded through Europe. French news sources from the late 19th century carried stories reporting lines of people buying dog meat, which was described as being "beautiful and light." During the siege of Paris in 1870, there were lines at butcher's shops of people waiting to purchase dog meat. 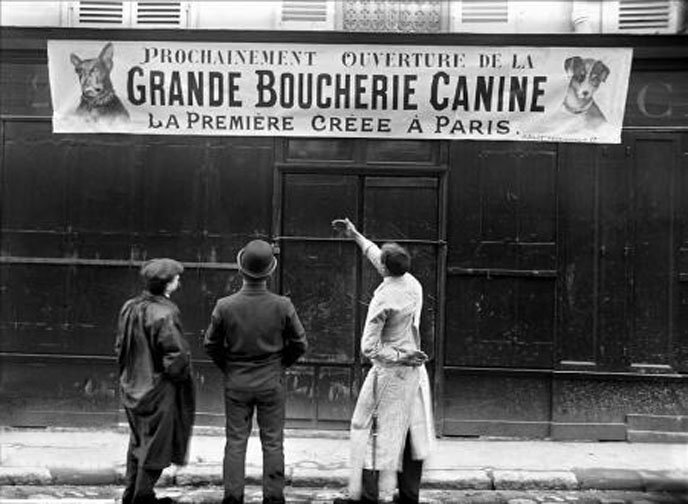 Dog meat was also reported as being sold by some butchers - Grande Boucherie Canine - in Paris, 1910. Dog meat has been eaten in every major German crisis at least since the time of Frederick the Great, and is commonly referred to as "blockade mutton". In the early 20th century, consumption of dog meat in Germany was common. The high price of other meat forced Germans to eat horse and dog meat. In the later part of World War I, dog meat was being eaten in Saxony by the poorer classes because of famine conditions. During severe meat shortages coinciding with the German invasion in 1940, sausages found to have been made of dog meat were confiscated by authorities in the Netherlands. While the meat is not eaten, in some rural areas of Poland, specially Lesser Poland dog fat can be made into lard, which by tradition is believed to have medicinal properties—being good for the lungs, for instance. Since the 16th century, fat from various animals, including dogs, was used as part of folk medicine, and since the 18th century, dog fat has had a reputation as being beneficial for the lungs. It is worth noting that the consumption of such meat is considered taboo in Polish culture, also making lard out of dogs' fat is illegal. In 2009, a scandal erupted when a farm near Częstochowa was discovered rearing dogs to be rendered down into lard. According to Grazyna Zawada, from Gazeta Wyborcza, there were farms in Czestochowa, Klobuck, and in the Radom area, and in the decade from 2000 to 2010 six people producing dog lard were found guilty of breaching animal welfare laws (found guilty of killing dogs and animal cruelty) and sentenced to jail. Despite tests showing that at least 156 dogs were infected with Ebola, the consumption of dog meat is not taboo. The Tallensi, the Akyim's and Kokis, one of many cultures of Ghana, consider dog meat a delicacy. While the Mamprusi generally avoid dog meat, it is eaten in a "courtship stew" provided by a king to his royal lineage. Two Tribes in Ghana, Frafra and Dagaaba are particularly known to be "tribal playmates" and consumption of dog meat is the common bond between the two tribes. Every year around September, games are organised between these two tribes and the Dog Head is the trophy at stake for the winning tribe. Liberians are said to lump the term dog meat and bushmeat together. A local animal welfare group claimed 75% of Liberians consume dog meat. In late 2014, the fear of contracting the Ebola virus disease from bushmeat, led at least one major Nigerian newspaper to imply that eating dog meat was a healthy alternative. That paper documented a thriving trade in dog meat and slow sales of even well smoked bushmeat. 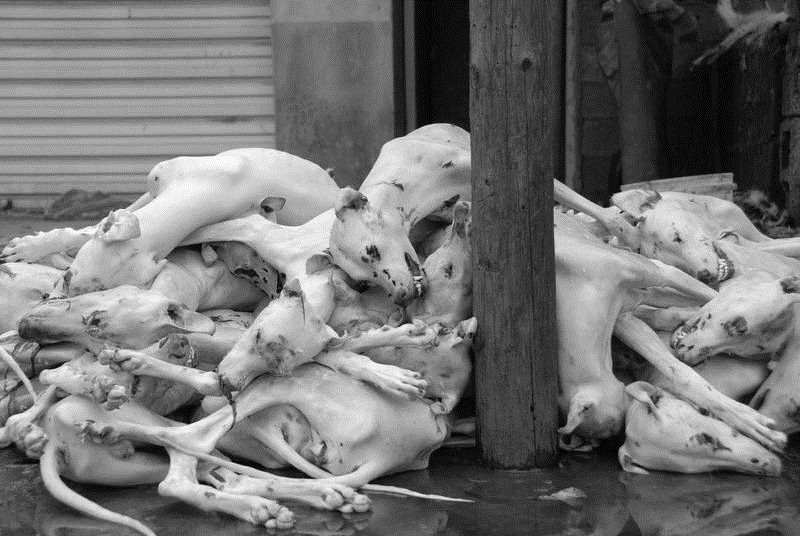 Morocco being a Muslim country, consumption of dog meat there is taboo; however, some less scrupulous vendors of street food have been reported as having used dog meat as a full or partial replacement for beef and lamb in sausages and other ground-meat dishes. In the time of the Aztec Empire in what is now central Mexico, Mexican Hairless Dogs were bred, among other purposes, for their meat. Hernán Cortés reported when he arrived in Tenochtitlan in 1519, "small gelded dogs which they breed for eating" were among the goods sold in the city markets. These dogs, Xoloitzcuintles, were often depicted in pre-Columbian Mexican pottery. The breed was almost extinct in the 1940s, but the British Military Attaché in Mexico City, Norman Wright, developed a thriving breed from some of the dogs he found in remote villages. The traditional culture surrounding the consumption of dog meat varied from tribe to tribe among the original inhabitants of North America, with some tribes relishing it as a delicacy, and others (such as the Comanche) treating it as an abhorrent practice. Native peoples of the Great Plains, such as the Sioux and Cheyenne, consumed it, but there was a concurrent religious taboo against the meat of wild canines. During their 1803–1806 expedition, Meriwether Lewis and the other members of the Corps of Discovery consumed dog meat, either from their own animals or supplied by Native American tribes, including the Paiutes and Wah-clel-lah Indians, a branch of the Watlalas, the Clatsop, the Teton Sioux (Lakota), the Nez Perce Indians, and the Hidatsas. 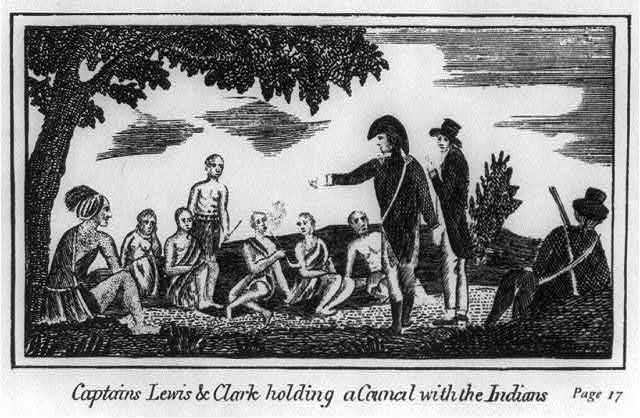 Lewis and the members of the expedition ate dog meat, except William Clark, who reportedly could not bring himself to eat dogs. The usual preparation method was boiling. 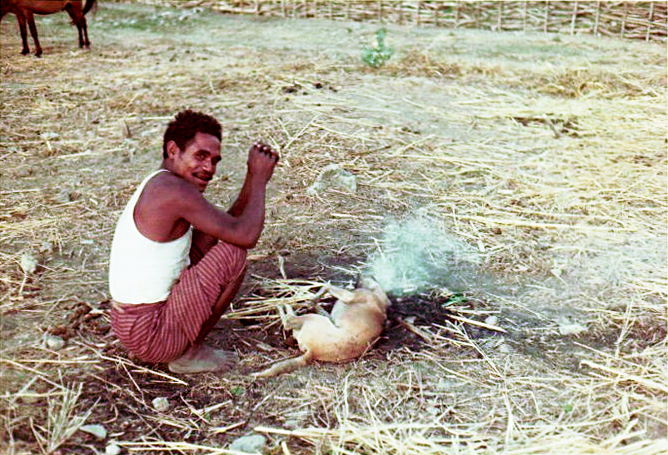 The Kickapoo people includes puppy meat in many of their traditional festivals. This practice has been well documented in the Works Progress Administration "Indian Pioneer History Project for Oklahoma". The term "dog" (hot dog) has been used as a synonym for sausage since 1884 and accusations that sausage makers used dog meat date to at least 1845. The belief that sausages contained dog meat was occasionally justified. In the late 19th century, a cure for tuberculosis (then colloquially termed "consumption") using an exclusive diet of dog meat was tried. Reports of families eating dog meat out of choice, rather than necessity, were rare and newsworthy. Stories of families in Ohio and Newark, New Jersey who did so made it into editions of The New York Times in 1876 and 1885. In the early 20th century, dog meat was consumed during times of food shortage. Dog meat is rarely eaten in New Zealand but has been said to be becoming more popular as it isn't illegal as long as the dog is humanely killed. A Tongan man living in New Zealand caused public outrage when he got caught cooking his pet dog in his backyard, this then had many calling for change in the law. Dogs were historically eaten in Tahiti and other islands of Polynesia, including Hawaii at the time of first European contact. James Cook, when first visiting Tahiti in 1769, recorded in his journal, "few were there of us but what allow'd that a South Sea Dog was next to an English Lamb, one thing in their favour is that they live entirely upon Vegetables". Calwin Schwabe reported in 1979 that dog was widely eaten in Hawaii and considered to be of higher quality than pork or chicken. When Hawaiians first encountered early British and American explorers and exploiters, they were at a loss to explain the visitors' attitudes about dog meat. The Hawaiians raised both dogs and pigs as pets and for food. They could not understand why their British and American visitors only found the pig suitable for consumption. This practice seems to have died out, along with the native Hawaiian breed of dog, the unique Hawaiian Poi Dog, which was primarily used for this purpose. The consumption of domestic dog meat is still commonplace in the Kingdom of Tonga, and has also been noted in expatriate Tongan communities in New Zealand, Australia, and the United States. Dog meat (Chinese: 狗肉; pinyin: gǒu ròu) has been a source of food in some areas of China from around 500 BC, and possibly even earlier. Researchers in the Royal Institute of Technology theorized that wolves in southern China may have been domesticated as a source of meat. Mencius, the philosopher, talked about dog meat as being an edible, dietary meat. Dog meat is sometimes euphemistically called "fragrant meat" (香肉 xiāng ròu) or "mutton of the earth" (earth lamb) (地羊 dì yáng) in Mandarin Chinese and "3–6 fragrant meat" (Chinese: 三六香肉; Cantonese Yale: sàam luhk hèung yuhk) in Cantonese (3 plus 6 is 9 and the words "nine" and "dog" have close pronunciation In Mandarin, "nine" and "dog" are pronounced differently). The eating of dog meat in China dates back thousands of years. It is thought to have medicinal properties, and is especially popular in winter months in northern China, as it is believed to generate heat and promote bodily warmth. Historical records have moreover shown how in times of food scarcities (as in war-time situations), dogs could also be eaten as an emergency food source. The extent of dog eating in China varies by region, appearing to be most prevalent in Guangdong, Yunnan and Guangxi, as well as the northern provinces of Heilongjiang, Jilin, and Liaoning. It is still fairly common to find dog meat served in restaurants in Southern China, where dogs are specially raised on farms. However, there are instances of finding stolen pet meat on menus. The movement against the consumption of cat and dog meat was given added impetus by the formation of the Chinese Companion Animal Protection Network (CCAPN), a networking project of the Chinese Animal Protection Network. 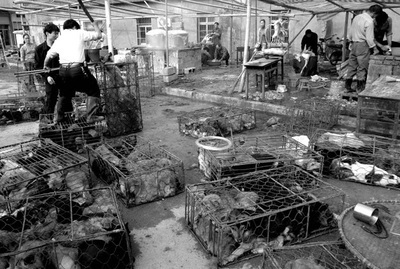 Expanded to more than 40 member societies, CCAPN in January 2006 began organizing well-publicized protests against dog and cat eating, starting in Guangzhou, and following up in more than ten other cities "with very optimal response from public." Before the 2008 Beijing Olympics, Chinese officials in Beijing ordered dog meat to be taken off of the menu at its 112 official Olympic restaurants in order to not offend visitors from various nations who would be appalled by the offering of dog meat at Beijing eateries. In China people usually breed dogs in the backyard. 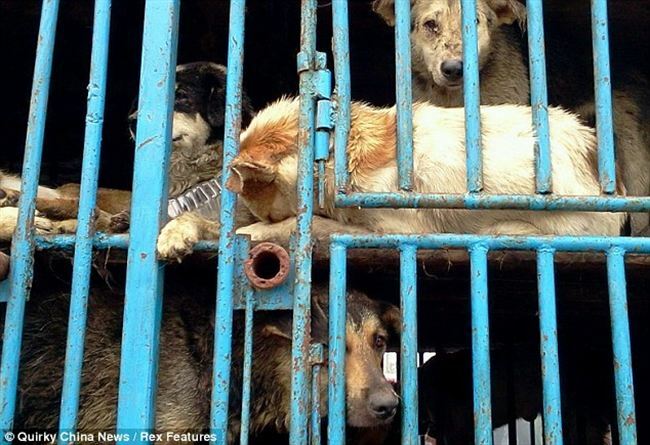 The dogs that are not used in the family's own kitchen are sold in markets to butchers and restaurants. In China, draft legislation was proposed at the start of 2010, which aims to prohibit the consumption of dog meat. The legislation, however, is not expected to be effective, despite officially outlawing the eating of dog meat if it is passed. On 26 January 2010, the first draft proposal of the legislation was introduced, with the main reason for the law reportedly to protect the country's animals from maltreatment, and includes a measure to jail people who eat dog for up to 15 days. However food festivals continue to promote the meat. For example the 4th annual Yulin, Guangxi food fair that took place on May 29, 2011 spanning 10 days consumed 15,000 dogs. While remnants of this tradition remain in certain quarters of Chinese society, the degree to which it is deemed to be socially acceptable has now become contested, with Chinese animal groups and pet-owners increasingly speaking out against the practice. Controversy has centered particularly on the cruel and inhumane treatment of dogs prior to their slaughter, with allegations having surfaced that these animals can at times be skinned while still alive. 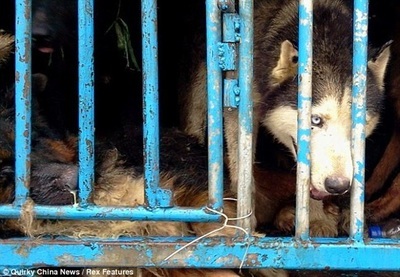 Most notably, a series of events that occurred in various parts of the country in 2012 have raised further awareness on this issue in the mainland, with local and international news media having reported on how Chinese netizens and the Chinese police had been intercepting trucks transporting caged dogs to be slaughtered in such localities as Chongqing and Kunming. According to Apple Daily June 21, 2013 report, in Yulin, Guangxi the locals were celebrating the "lychee dog meat festival" on the same day and they will kill more than 100,000 dogs. A follow up also by Apple Daily on June 22, 2013, showed that there are some demonstrators, claiming that the demonstrators were blamed for attacking the locals. Some Chinese people spent their money to rescue the dogs, and found rescued dogs either pregnant or with new-born puppies.They also found ill dogs. In Hong Kong, the Dogs and Cats Ordinance was introduced by the Hong Kong Government on 6 January 1950. It prohibits the slaughter of any dog or cat for use as food, whether for mankind or otherwise, on pain of fine and imprisonment. Four local men were sentenced to 30 days imprisonment in December 2006 (Year of the Dog) for having slaughtered two dogs. 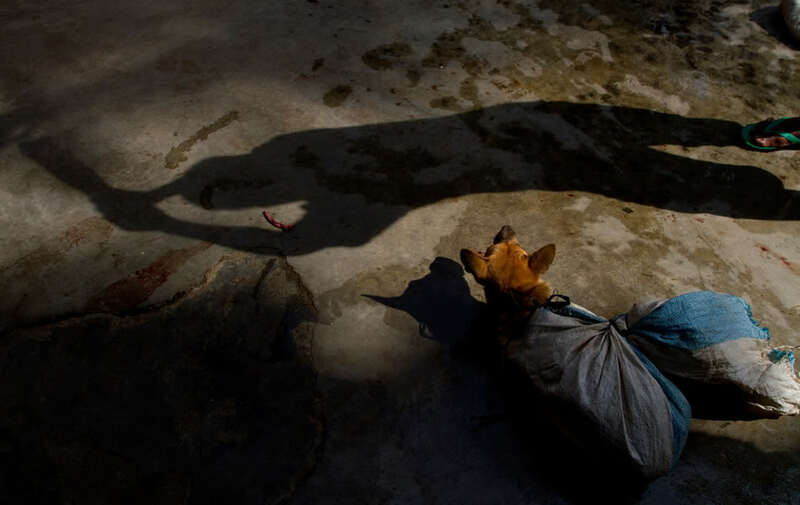 In an earlier case, in February 1998, a Hong Konger was sentenced to one month imprisonment and a fine of two thousand HK dollars for hunting street dogs for food. The consumption of dog meat is associated with the Minahasa culture of northern Sulawesi and the Bataks of northern Sumatra, where dog meat is considered a festive dish usually reserved for occasions such as weddings and Christmas. The consumption of dog meat is not a feature of modern Japanese culture because Japanese people believe that certain dogs have special powers in their religion of Shintoism and Buddhism. Dog meat was consumed in Japan until 675 A.D., when Emperor Temmu decreed a prohibition on its consumption during the 4th–9th months of the year, they say for battle normally a dog accompanies him for battle. So eating a dog gave Emperors bad luck. In Japanese shrines certain animals are worshipped like dogs who will give people a good luck charm. Animals are described as good luck in scrolls and Kakemono during the Kofun period, Asuka period and Nara period. According to Meisan Shojiki Ōrai (名産諸色往来) published in 1760, the meat of wild dog was sold along with boar, deer, fox, wolf, bear, raccoon dog, otter, weasel and cat in some regions of Edo. Ōta Nampo recorded witnessing puppies being eaten in Satsuma Province in a dish called Enokoro Meshi (えのころ飯). In 2008, Japan imported 5 tons of dog meat from China compared to 4,714 tons of beef, 14,340 tons of pork and 115,882 tons of poultry. 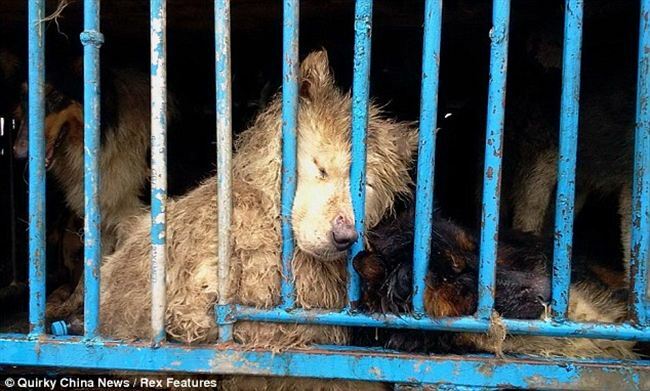 The Korean breed "Nureongi" - are kept as livestock only for meat consumption. The consumption of dog meat can be traced back to antiquity. Dog bones were excavated in a neolithic settlement in Changnyeong, South Gyeongsang Province. A wall painting in the Goguryeo Tombs complex in South Hwangghae Province, a World Heritage site which dates from the 4th century AD, depicts a slaughtered dog in a storehouse. The Balhae people also enjoyed dog meat, and the modern-day tradition of canine cuisine seems to have come from that era. Although a fair number of South Koreans (anywhere from 5 to 30%) have eaten dog meat at least once in their lifetime, only a small percentage of the population eats it regularly. There is a large and vocal group of Korean people that are against the practice of eating dog meat. There is also a large population of people in South Korea that do not eat or enjoy the meat, but do feel strongly that it is the right of others to do so. There is a smaller but still vocal group of pro-dog cuisine people in South Korea who want to popularize the consumption of dog in Korea and the rest of the world, considering it to be part of the traditional culture of Korea with a long history worth preserving. South Korean Food Sanitary Law (식품위생법) does not include dog meat as a legal food ingredient. Also, dog meat has been categorized as 'repugnant food' (혐오식품) based on a regulation issued by Seoul Metropolitan Government, of which using as food ingredient is not permitted. There is a large and vocal group of Koreans (consisting of a number of animal welfare groups) who are against the practice of eating dogs. Popular television shows like 'I Love Pet' have documented in 2011, for instance, the continued illegal selling of dog meat and slaughtering of dogs in suburban areas. The program also televised illegal dog farms and slaughterhouses, showing the unsanitary and horrific conditions of caged dogs, several of which were visibly sick with severe eye infections and malnutrition. 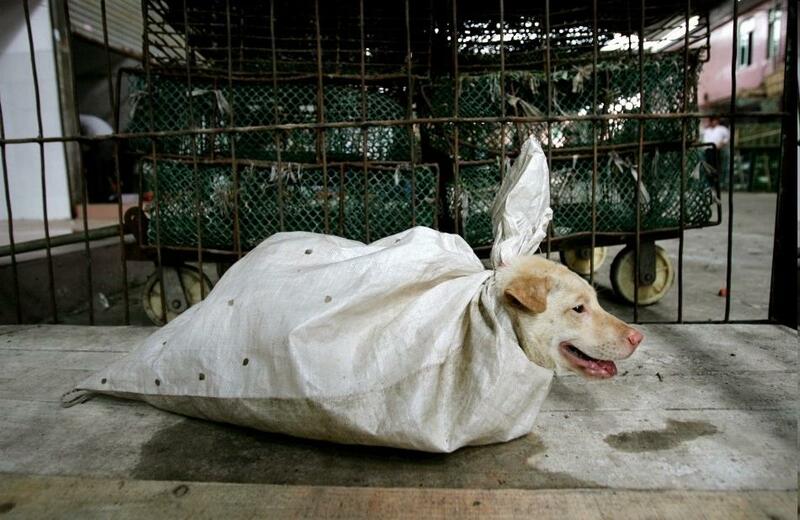 However, despite this growing awareness, there remains some in Korea that do not eat or enjoy the meat, but do feel that it is the right of others to do so, along with a smaller but still vocal group of pro-dog cuisine people who want to popularize the consumption of dog in Korea and the rest of the world. A group of pro-dog meat individuals attempted to promote and publicize the consumption of dog meat worldwide during the run-up to the 2002 FIFA World Cup, co-hosted by Japan and South Korea, which prompted retaliation from animal rights campaigners and prominent figures such as Brigitte Bardot to denounce the practice. Opponents of dog meat consumption in South Korea are critical of the eating of dogmeat as some dogs are beaten, burnt or hanged to make their meat more tender. In the capital city of Manila, Metro Manila Commission Ordinance 82-05 specifically prohibits the killing and selling of dogs for food. More generally, the Philippine Animal Welfare Act 1998 prohibits the killing of any animal other than cattle, pigs, goats, sheep, poultry, rabbits, carabaos, horses, deer and crocodiles, with exemptions for religious, cultural, research, public safety or animal health reasons. Nevertheless, as is reported from time to time in Philippine newspapers, the eating of dog meat is not uncommon in the Philippines. In 2001, the Taiwanese government imposed a ban on the sale of dog meat, due to both pressure from domestic animal welfare groups and a desire to improve international perceptions, although there were some protests. 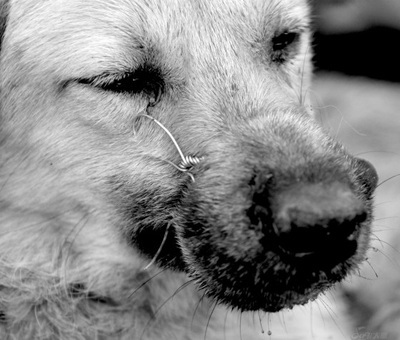 In 2007, another law was passed, significantly increasing the fines to sellers of dog meat. However, animal rights campaigners have accused the Taiwanese government of not prosecuting those who continue to slaughter and serve dog meat at restaurants. Although the slaughter and consumption of dog meat is illegal in Taiwan, there are reports that suggest the practice continues as of 2011. In Taiwan, dog meat is known by the euphemism "fragrant meat" (Chinese: 香肉; pinyin: xiāngròu). 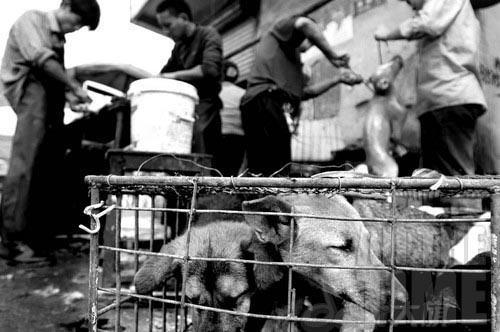 In 2007, legislators passed a law to fine sellers of dog meat NT$250,000 (US$7,730). Dog meat is believed to have health benefits, including improving circulation and raising body temperature. Dog breeding facility for meat consumption. Unlike other countries where dog meat consumption has been shown to have historical precedents, Thailand does not have a mainstream culture of dog eating. However, in recent years, the consumption of dog meat in certain areas of the country, especially in certain northeastern provinces like Sakon Nakhon and Nakhon Phanom (specifically Sakon Nakhon province's Tha Rae sub-district, which has been identified as the main center for the country's illegal, albeit lucrative, dog meat trade), have attracted widespread attention from the Thai population and local news media. This has led a large group of Thai citizens to become increasingly vocal against the consumption of dog meat and the selling of dogs that are transported through Laos to neighbouring Mekong countries, including Vietnam and China. According to news reports, a considerable number of these dogs continue to be stolen from people's homes by illegal carriers. This was especially the case following the 2011 Thailand Floods. Dubbed as the country's 'Trade of Shame', Thai netizens, in particular, have now formed several (informal) animal welfare and rescue groups in an attempt to stop this illegal trade, with the collective attitude being that 'Dogs are not food'. Established not-for-profit animal charity organizations like the Soi Dog Foundation have also been active in raising awareness and working in conjunction with local Thai authorities to rehabilitate and relocate dogs rescued from trucks attempting to transport live dogs across the border to nearby countries. Significantly, this issue has strengthened the nation's animal rights movement, which continues to call on the Thai government to adopt a stricter and more comprehensive animal rights law to prevent the maltreatment of pets and cruelty against all animals. Dog meat is consumed more commonly in the northern part of Vietnam than in the south, and can be found in special restaurants which specifically serve this type of meat. Dog meat is believed to bring good fortune in Vietnam. It is seen as being comparable in consumption to chicken or pork. In any urban areas, there are always sections which house a lot of dog-meat restaurants. For example, on Nhat Tan Street, Tây Hồ District, Hanoi, many restaurants serve dog meat. Groups of customers, usually male, seated on mats, will spend their evenings sharing plates of dog meat and drinking alcohol. The consumption of dog meat can be part of a ritual usually occurring toward the end of the lunar month for reasons of astrology and luck. Restaurants which mainly exist to serve dog meat may only open for the last half of the lunar month. Dog meat is also believed to raise the libido in men.The Associated Press reported in October 2009 that a soaring economy has led to the booming of dog restaurants in Hanoi, and that this has led to a proliferation of dognappers. Reportedly, a 20 kilograms (44 lb) dog can sell for more than $100—roughly the monthly salary of an average Vietnamese worker. To eat dog or cat meat is not what many people experience what is the most disgusting thing on this issue - meat from different species are all from from slaughtered animals. 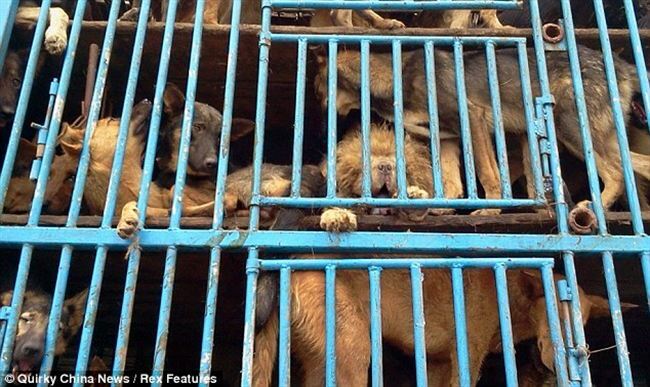 It is that dogs and cats are treated cruelly and subjected to torture - parts of Asia seems to lack compassion for animals and kill and butcher the dogs and cats brutal and callous, many of the animals are still conscious and are steamed, boiled and skinned alive. That this can be done by people on purpose - is completely incomprehensible. In some Asian traditions dictate that the animal must suffer before it dies, since the meat according to tradition, gives strength to those who eat the meat - that this superstitious torture of animals is still in progress in our century is a disgrace to humanity. Cats are also used in the international fur trade. Cat fur is used in coats, gloves, hats, shoes, blankets and stuffed toys. About 24 cats are needed to make a cat fur coat. This use has now been outlawed in several countries, including the United States, Australia and the European Union. However, some cat furs are still made into blankets in Switzerland as folk remedies that are believed to help rheumatism. It has long been common for cats to be eaten in some parts of China and in some other Asian countries and it is estimated that in southern China's Guangdong province people eat 10,000 cats per day. Animal People estimates that 4 million cats are killed and consumed in Asia every year. Is there any difference between the species that suffer? No - the difference lies in how all animals, whatever their nature, are treated by humans - from individuals heart, mind and action - from generations, traditions and religions in different countries. The answer is - education in schools and to children about animal welfare - that animals are sentient beings.